Etymology: Derived from the Latin hirsutus, meaning 'shaggy'; named for the hairy inflorescence, bract, ovary, and back of the bloom. 2n = metacentrics telocentrics n.f. Fitch, Charles Marden. 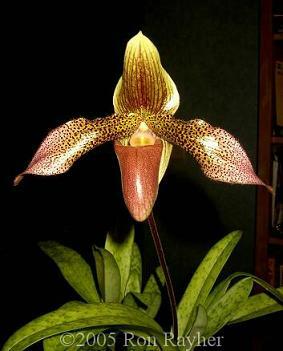 "Perky Paphiopedilums: A Bounty of Color and Pattern Awaits Those Who Explore Slipper Orchids." 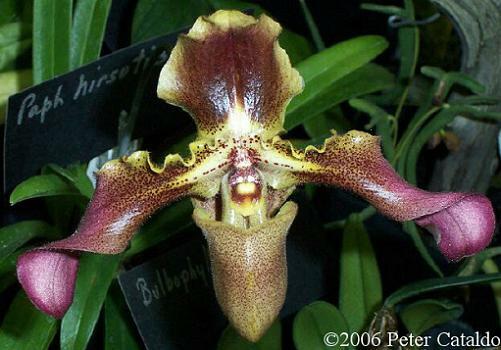 Orchids 6 (Jun 2004): 428-433. Gruss, O. "Albino Forms of the Slipper Orchids." 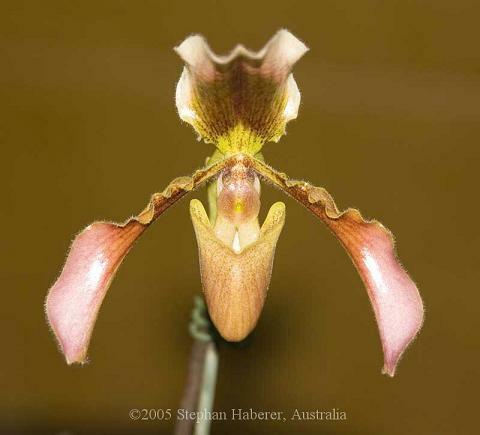 Orchid Digest 69, no. 4 (Oct/Dec 2005): 204-29. 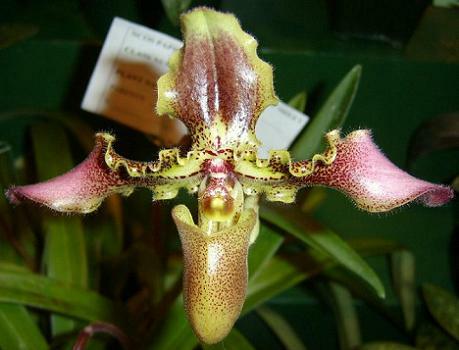 Karasawa, K. "Karyomorphological Studies in Paphiopedilum, Orchidaceae." Bulletin of the Hiroshima Botanical Garden 2 (Mar 1979): 1979.